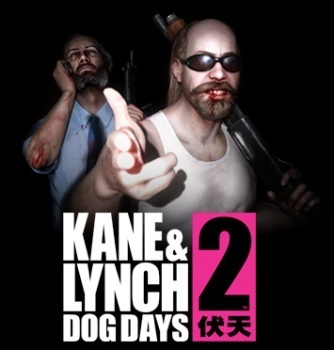 Another day, another kick in the junk for Games for Windows Live, as IO Interactive has revealed that Kane & Lynch 2: Dog Days has dropped Microsoft's much-maligned online system in favor of Steamworks. The original Kane & Lynch: Dead Men didn't fare so well on the PC, in part because of the crashes and connectivity issues associated with the Games for Windows Live service, which it used for DRM and multiplayer support. Microsoft's problematic online service won't be an issue in the sequel, however, because the developer has decided not to bother with it. "No," said IO Interactive Game Director Kim Krogh when asked if Games for Windows Live problems would plague Kane & Lynch 2. "We're using Steamworks." Steamworks, of course, is a suite of development tools released by Valve that supports everything from copy protection to social networking options through the hugely popular Steam online service. Kane & Lynch 2 is the second high-profile game to abandon GfW Live in recent weeks; earlier this month, Bethesda announced that Fallout: New Vegas had also made the switch to Steam. Microsoft recently re-committed to the PC gaming scene (yes, again) and clearly, it has its work cut out for it.